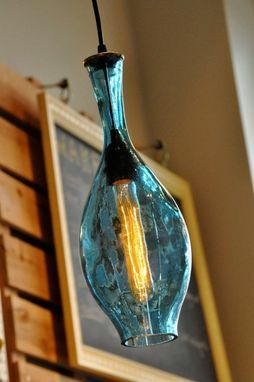 This is a hanging pendant lamp made from a large bottle. It stands 16" tall and has an uneven cut along the bottom. I can make the cut even but I thought it would look cool with a cut that looked like a worn bottle, salvaged from a Spanish galleon. I have one in orange, and one in green, as well. 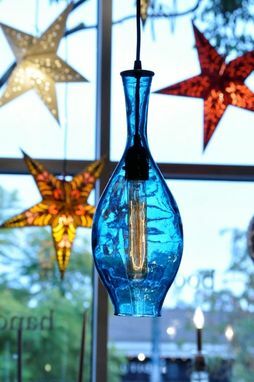 These would look amazing in a cluster of three. If you'd like a chandelier, I can certainly hook you up. 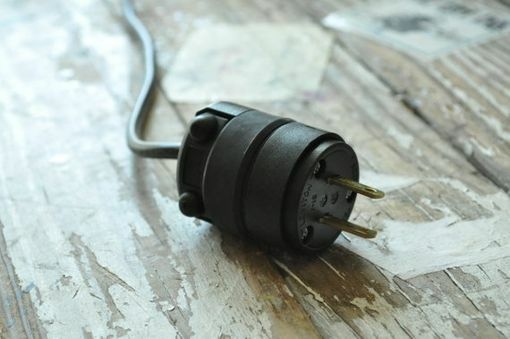 This fixture comes with 15' of cord and is ready to hang and power from your nearest wall outlet. 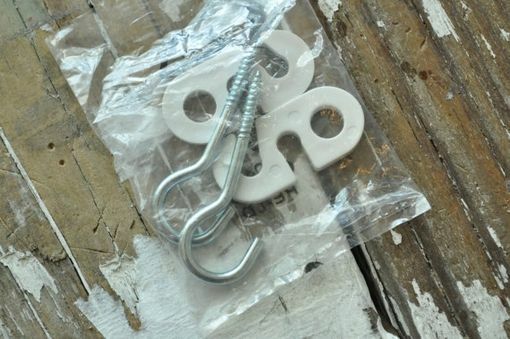 If you'd like this to hang from an existing electrical box, we can attach a ceiling canopy in either brushed nickel, unfinished steel, black, white and antique bronze for $13.95. Track lighting adapters are $15.00. 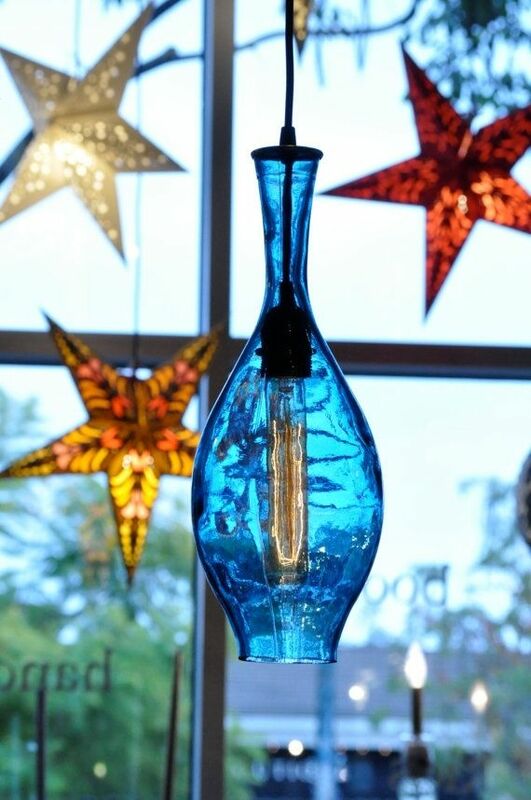 The fixture comes with an old fashioned style 30watt beacon bulb.